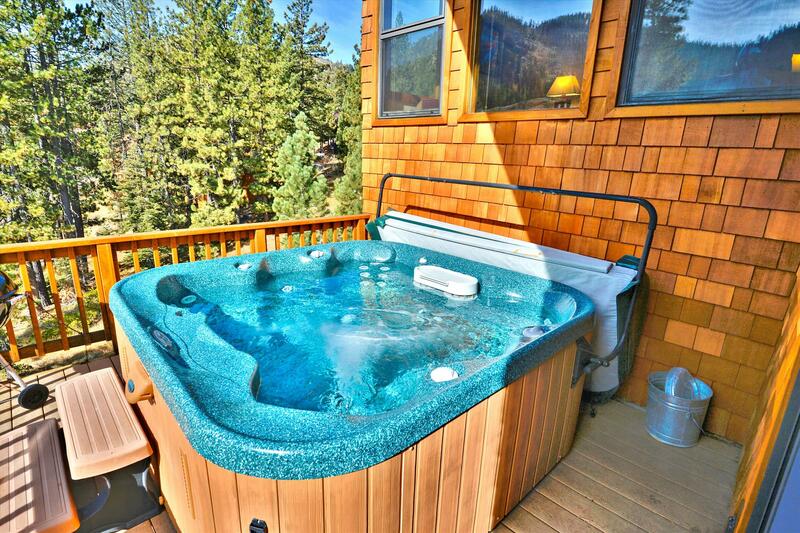 Luxurious Winter Home with a Private Hot Tub on the Deck Overlooking Panoramic Views of Alpine Meadows. 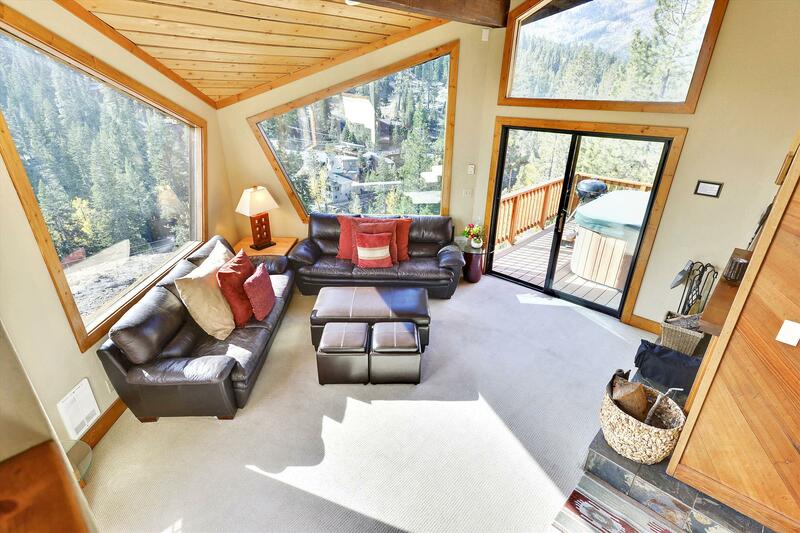 Only 2.5 Miles from the Base of Alpine Meadows Resort. 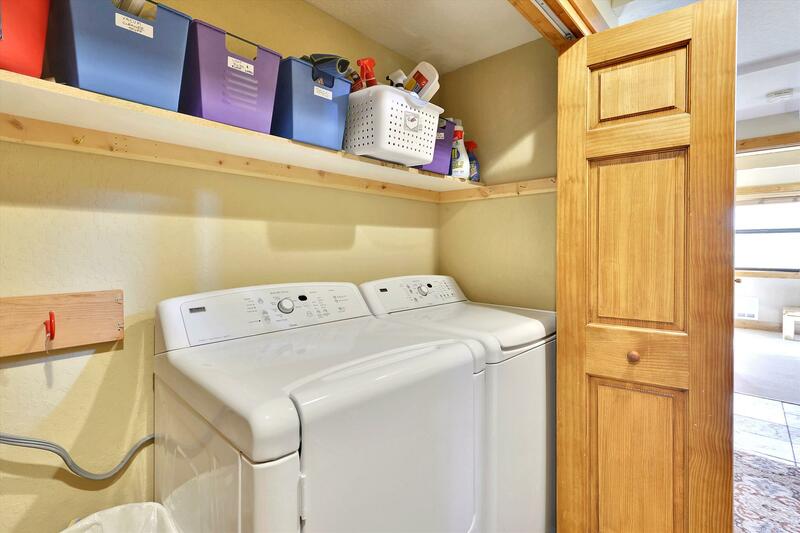 Free Daily Activities!! 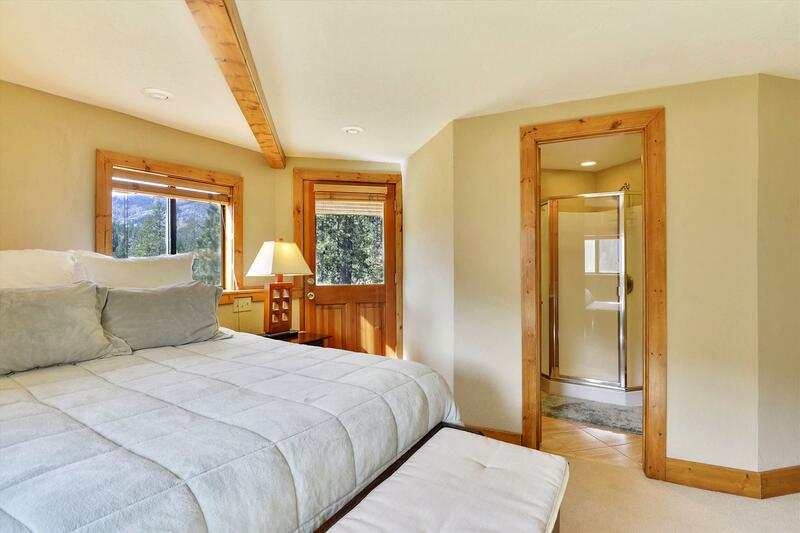 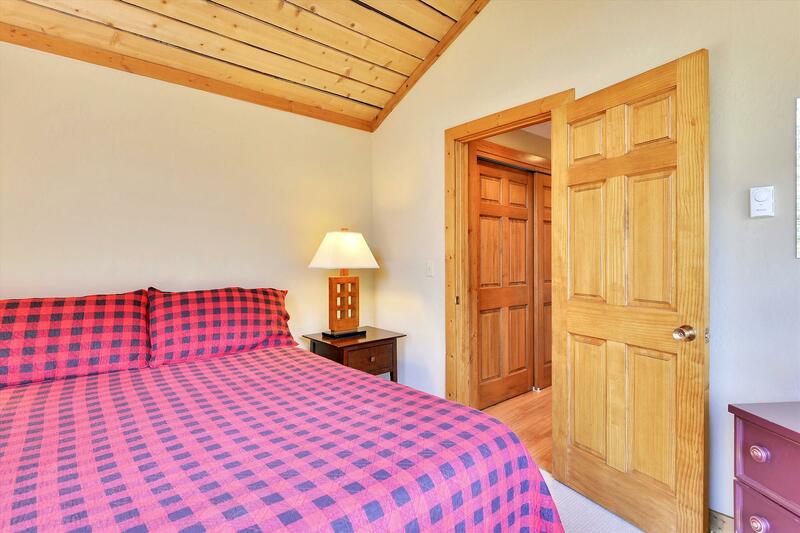 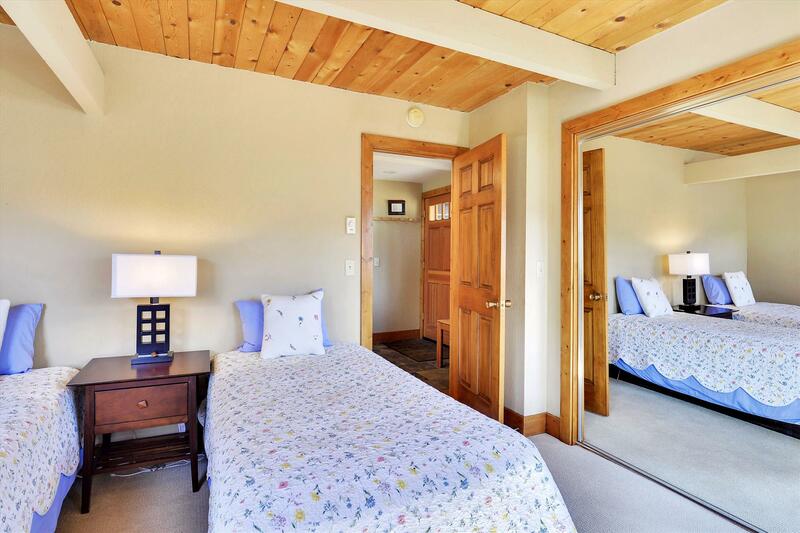 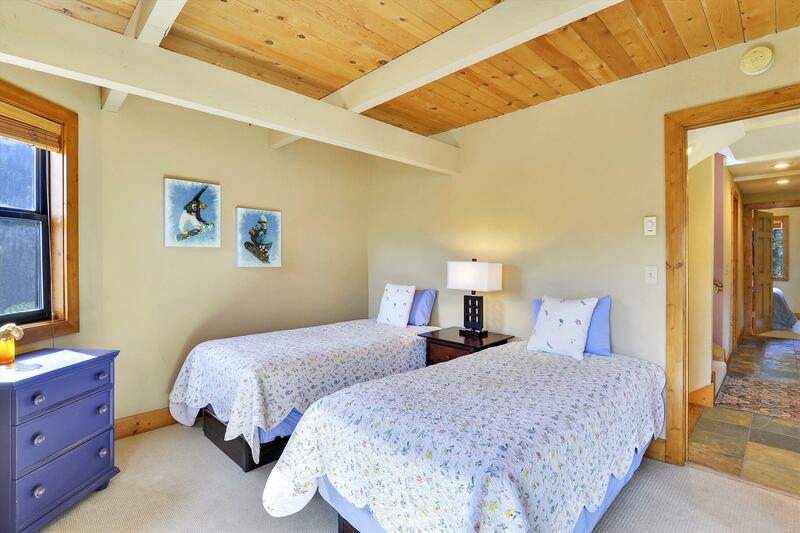 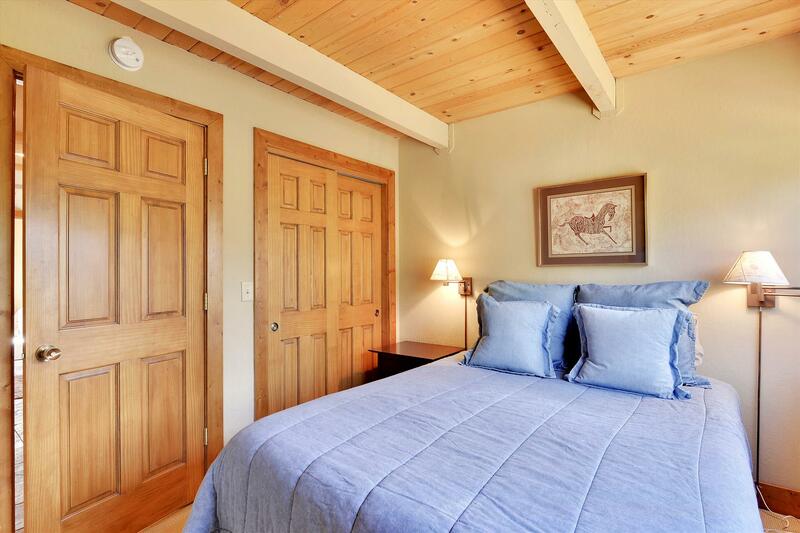 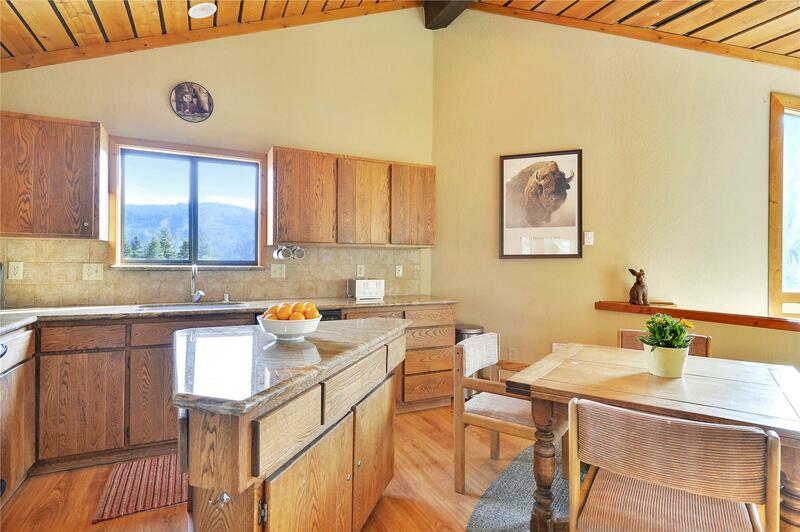 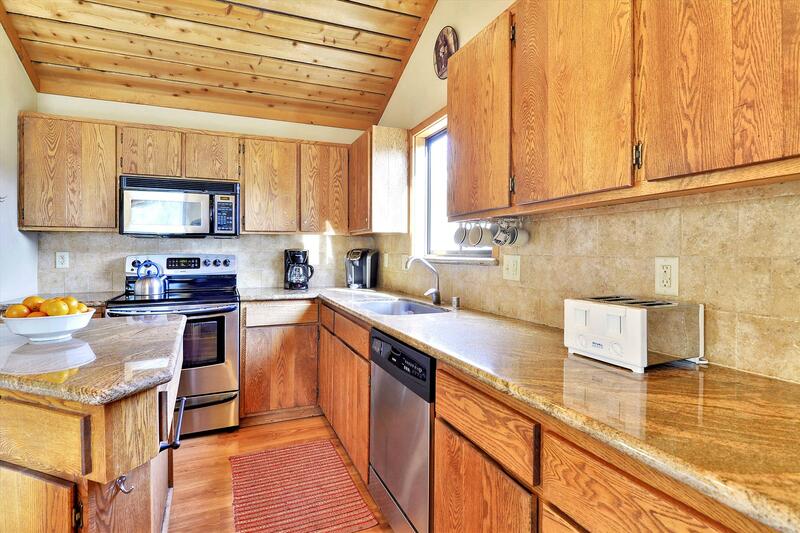 If you're looking to wake up among the trees with magnificent views and easy accessibility to Alpine Meadows, then Vista Home in the Sun is your ideal getaway. 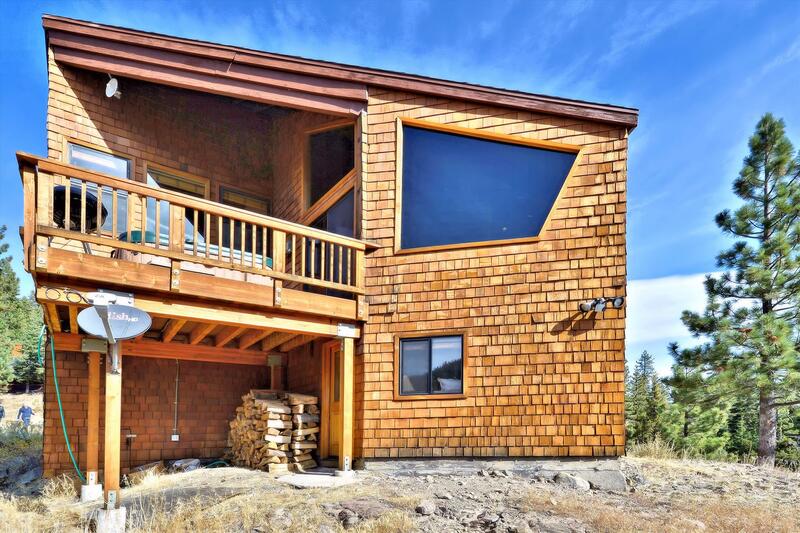 This multi-level four bedroom two and a half bathroom stunner, which comfortably sleeps eight, is perched high just a hop, skip or jump to the ski resort in winter or the great biking and hiking during the summer months. 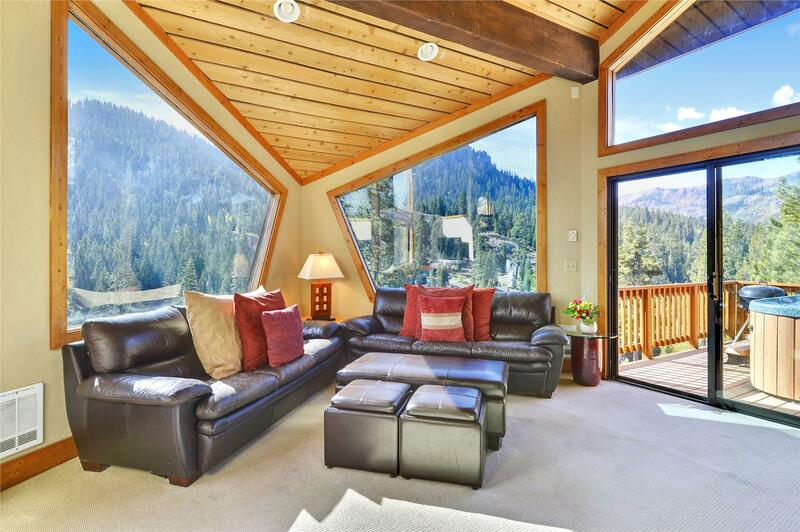 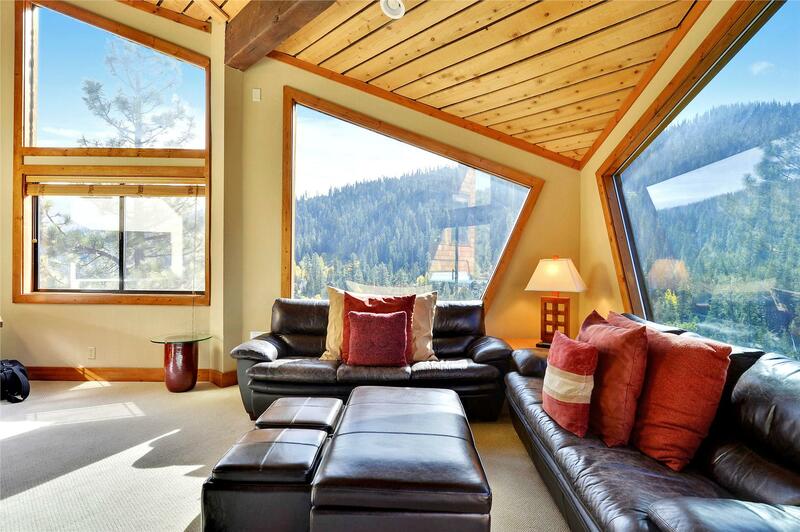 Over sized floor to ceiling geometric windows and vaulted ceilings provide guests with sweeping mountain and forest views all visible from the living room, kitchen and dining rooms, situated just a few steps up on a split level from the great room. 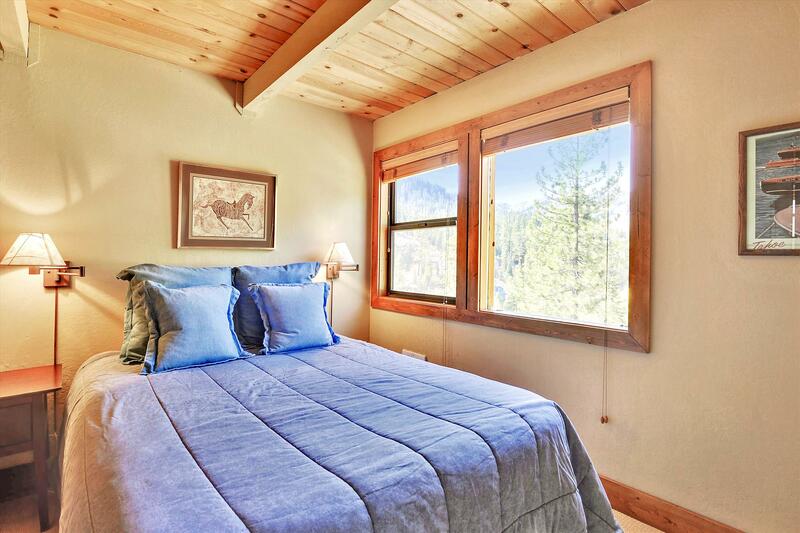 Guests can gather in each communal space to cook, eat, or lounge by the fire, while enjoying the same panoramic view of Tahoe Pines, green in the summer or blanketed white in the winter. 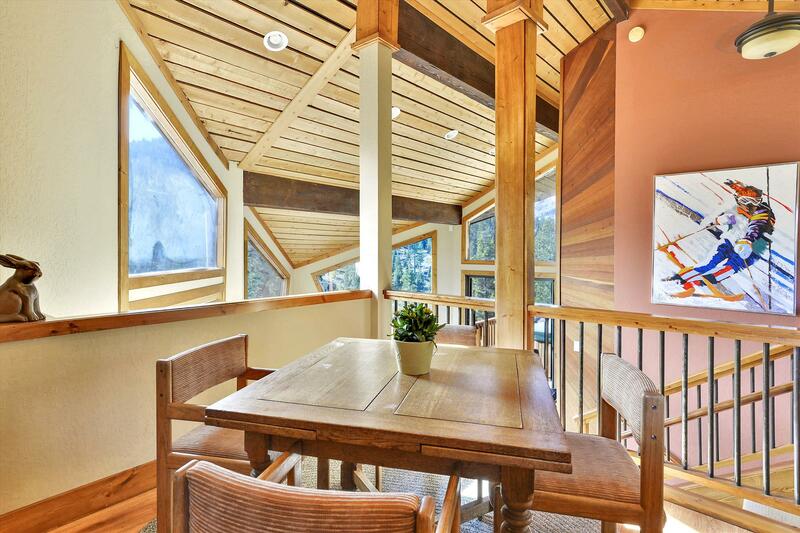 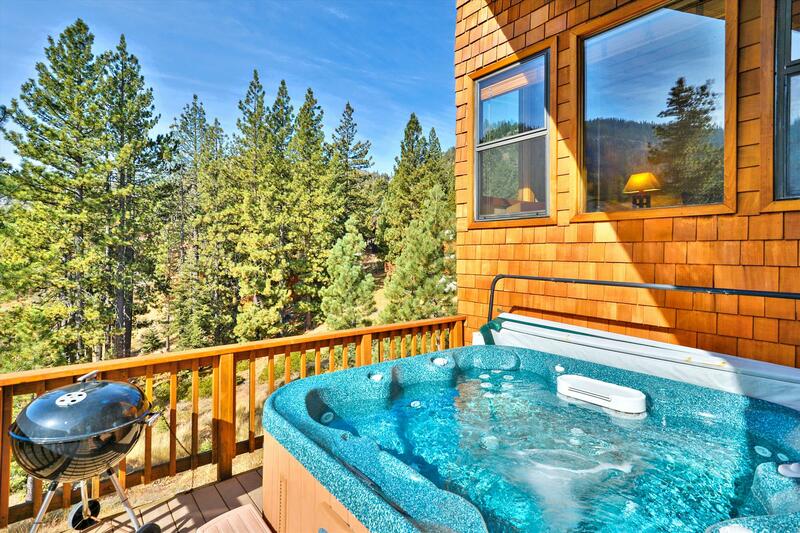 Adjacent to the living room is a large outdoor hot tub, another place to soak in the mountain air. 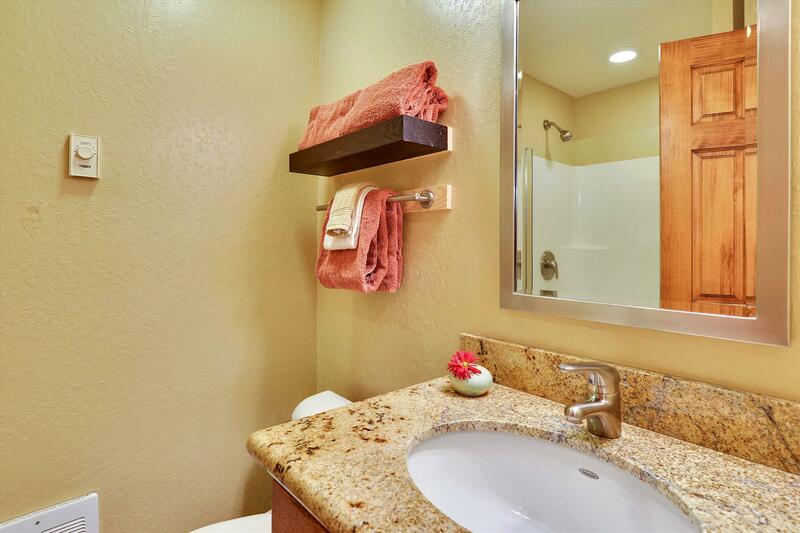 Newly remodeled Vista Home in the Sun is warm and inviting, sparing no details in the comfortably appointed linens and granite counter tops in the kitchen, unfussy yet refined. 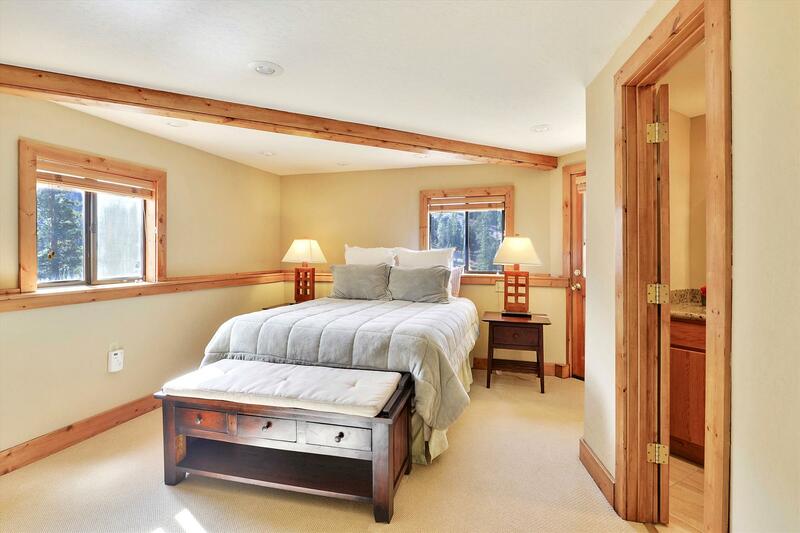 Each bedroom, which ranges in accommodations from twin beds to king-sized beds, offers guests a tranquil space set apart on separate levels of the home. 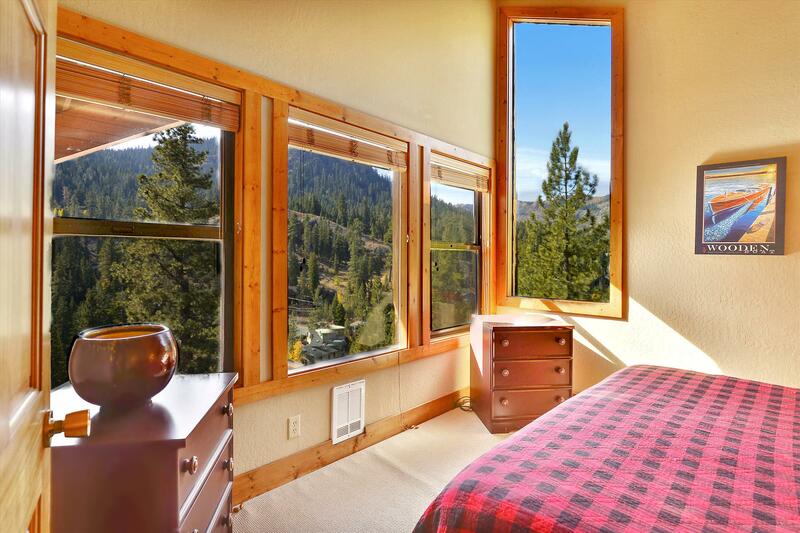 All have beautiful views as well. 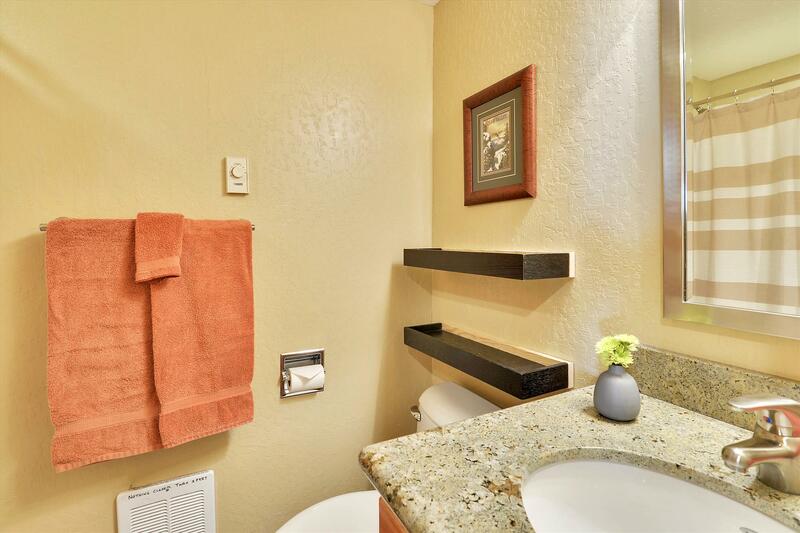 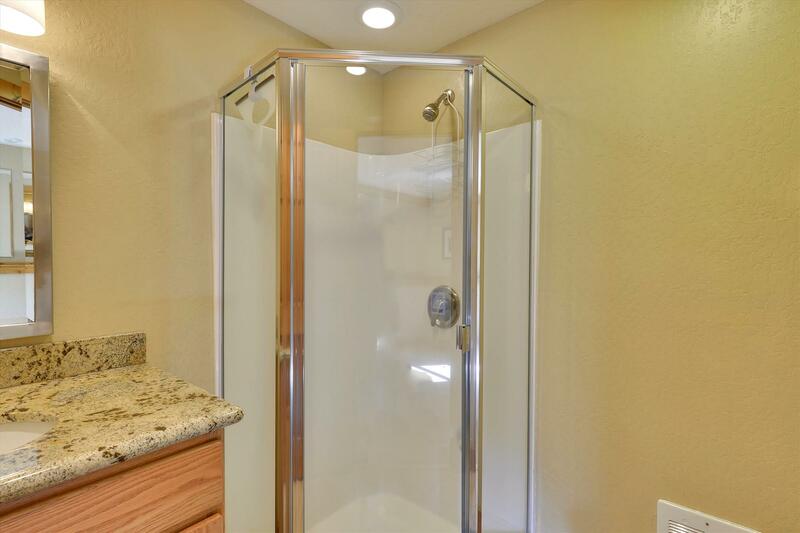 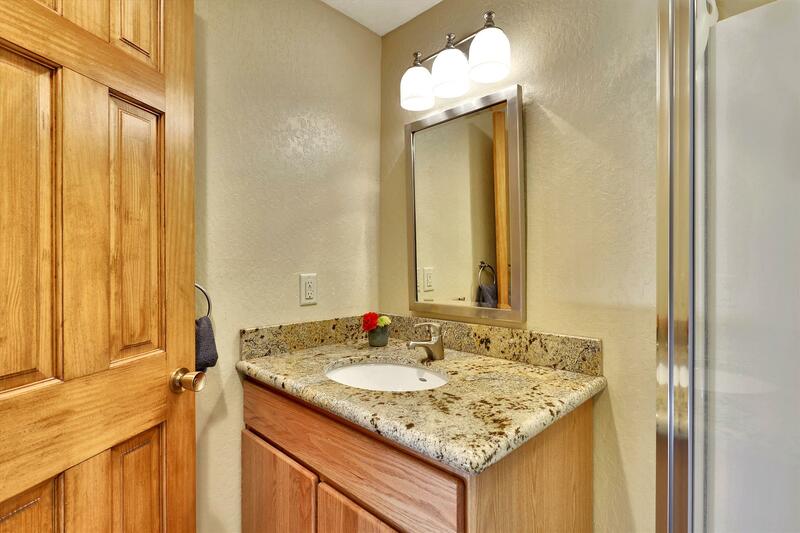 Equipped with every necessity and luxury, this home comes with free Wi-Fi, cable TV/DVD player, washer and dryer, and parking for three to four cars. 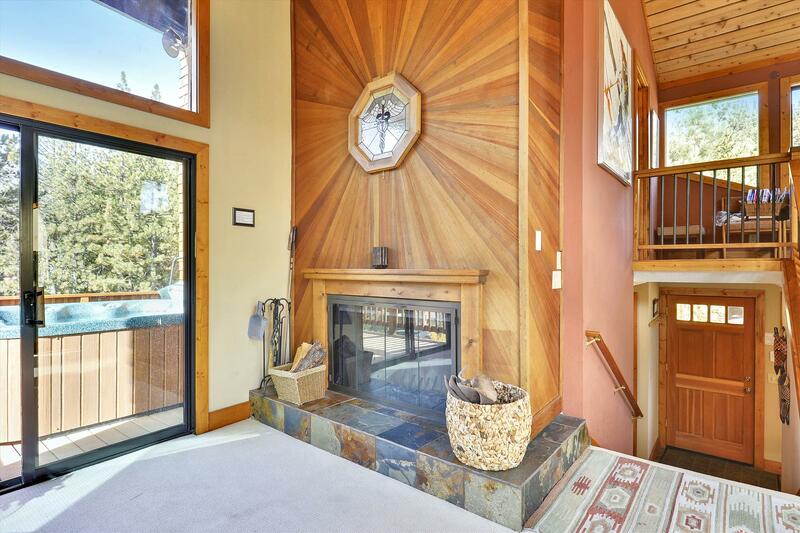 A perfect entertaining home with the ability to retreat to other levels of the home, Vista Home in the Sun is an easy, and beautiful choice.